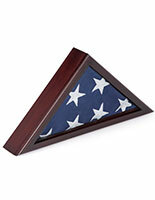 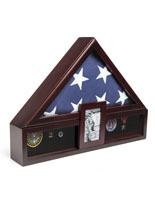 Ideal for showcasing medals, a document, and burial banner, this flag and certificate display case is a beautiful way to honor a veteran or civil servant. 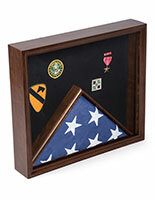 These military shadow boxes are made of solid pine for a durable frame and painted in a rich mahogany finish to keep its beauty through extended use. 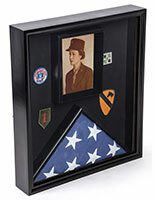 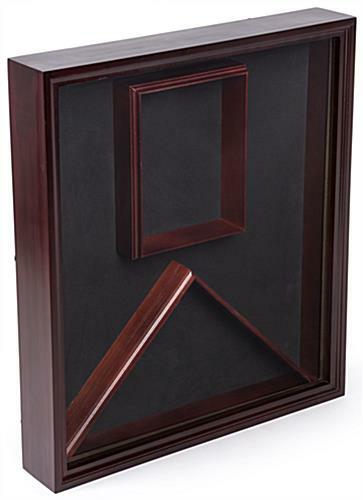 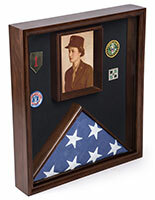 As well, the velvet backing for this memorial certificate display case complements medals with its neutral black color. 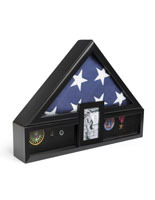 Simply pull out the backer to slide the badges through the fabric and place the burial ensign and portrait orientation document in the built-in slots for an all-in-one dedication. 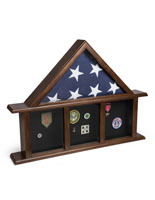 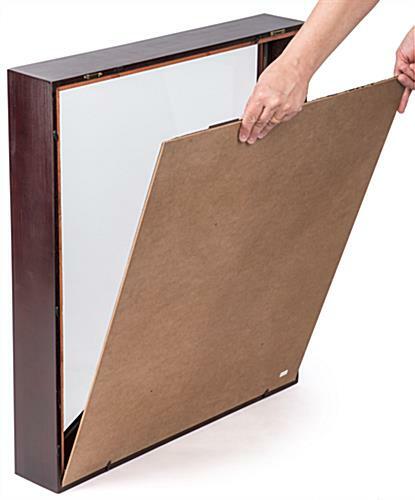 Wall mounting hardware is included, allowing you to set these military shadow boxes in the ideal location for viewing in a home or public setting. 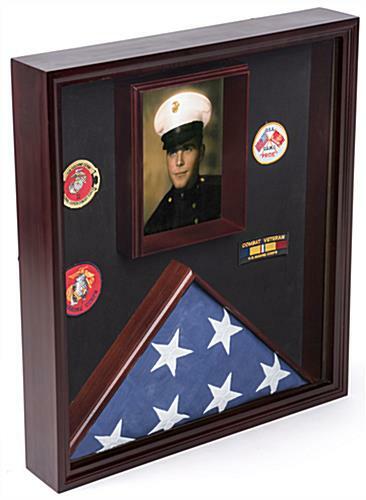 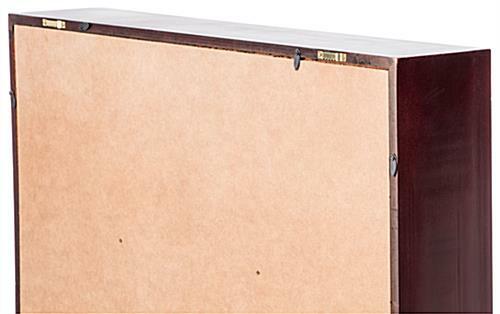 While traditional frames only accommodate the 5’ x 9.5’ banner, this display case offers an inclusive design that allows you to keep a veteran’s memorabilia in one place. 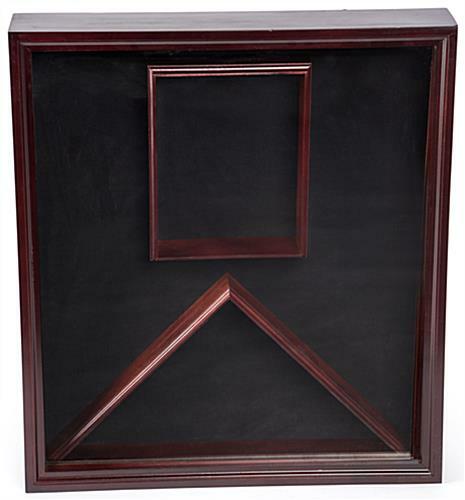 25.0" x 28.5" x 23.8"
26.8" x 23.5" x 3.0"